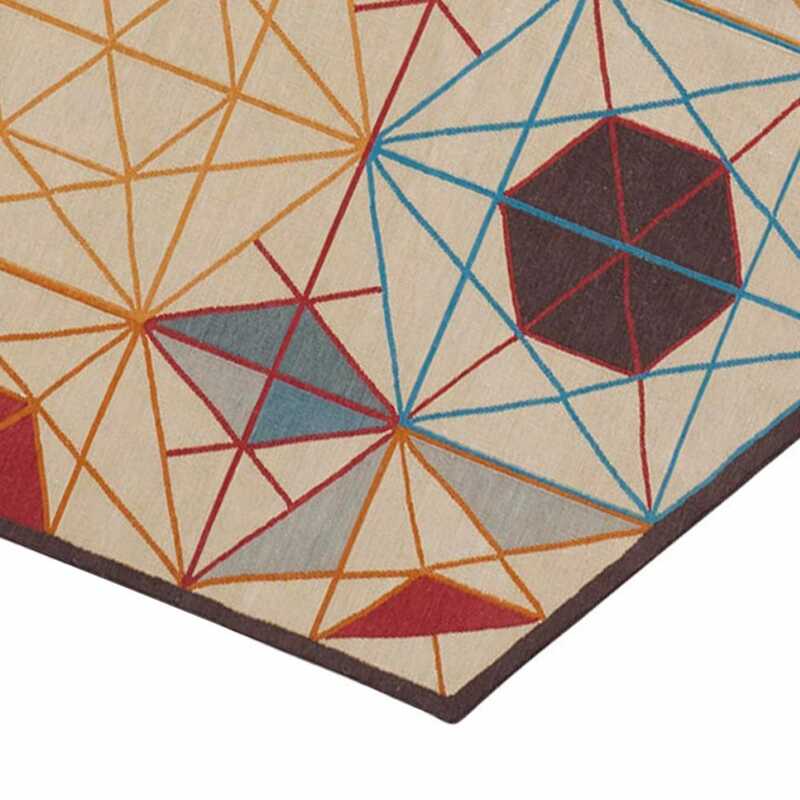 Add Moroccan charm to your interior with the stunning Hexa rug designed intricately by the experts at Spanish Design House, Gandia Blasco. Delicately hand woven using the traditional Kilim technique, the neutral colours with bold pops of rust red, mustard yellow and deep blue's exude undeniable Mediterranean influence. 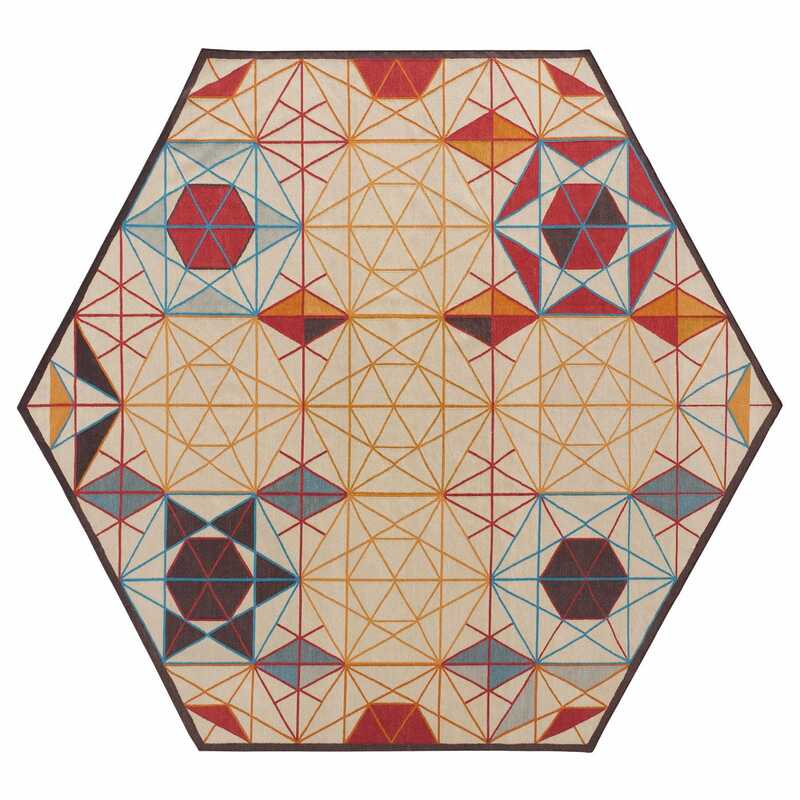 Featuring an intricate geometric pattern which is similar to looking through a kaleidoscope, the Hexa rug will create a striking feature in modern and traditional homes alike.